The first part of Te Wherowhero's adult life was spent almost constantly at war as his Waikato tribe drove Te Rauparaha's Ngāti Toa out of its Kāwhia homeland, defended its own land against repeated attacks from Northland's Ngā Puhi and made repeated attacks on the Taranaki tribes. Te Wherowhero refused to sign the Treaty of Waitangi but did deal with the colonial government. He sold land to the Crown and, in 1849, signed an agreement to provide military protection for Auckland. He advised Governors George Grey and Thomas Gore Browne, but he also strongly protested against a British Colonial Office plan to put all uncultivated land into Crown ownership. In the 1850s, a movement was set up to appoint a Māori king who would unite the tribes, protect land from further sales and make laws for Māori to follow. Te Wherowhero became King in 1858. Though he didn't see his kingship as a direct challenge to the authority of the Queen, it was seen that way both by the colonial authorities and some of his supporters. He died after only two years as King and was succeeded by his son, Tāwhiao. Ko te wehenga tuatahi o ngā rā o Te Wherowhero hei pakeke, ko ana pakanga i te wā o te pananga o Ngāti Toa me Te Rauparaha e Waikato, kia wehe atu i Kāwhia. Ka tū mārō hoki tōna iwi ki ngā kōkiri mai a Ngā Puhi, ā, ka hokia tonutia ngā ara pakanga e ōna ope taua ki runga o Taranaki. Kāore rawa a Te Wherowhero i whakaae ki te haina i te Tiriti o Waitangi, engari i whiriwhiri tahi ia ki te Kāwanatanga o te Koroni. I hokona e ia ētahi whenua ki te Karauna, ā, i te tau 1849, ka hainatia tētahi kirimana kia riro māna ngā Pākehā o Tāmaki-makau-rau e tiaki ki ōna ope taua. He kaha tonu ia ki te tohutohu i ngā Kāwana nei, i a Hori Kerei rāua ko Koa Parāone, engari i whakahē ia ki ngā tikanga a te Tari o ngā Koroni kia whaowhia katoatia ngā whenua kāore i kōia hei māra ki roto i ngā ringaringa o te Karauna. I te tekau tau mai i 1850, ka korikori te iwi ki te whakatū kīngi Māori, māna ngā iwi hei whakakotahi, hei tiaki kia kaua e ngaro ō rātou whenua te hoko, māna hoki e hanga ture tōtika mō te iwi Māori. 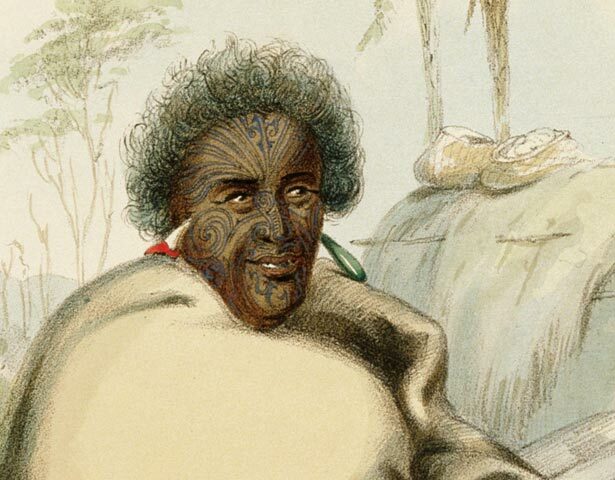 Ka pōtaea a Te Wherowhero hei kīngi i te tau 1858. Ki te titiro a Te Wherowhero, ehara te kīngi Māori i te hoa tauwhāinga mō te Kuini, engari ia ngā mana o te Koroni me ētahi o ana kaitautoko, i rerekē ngā whakaaro. I mate a Te Wherowhero e rua tau i muri o tōna pōtaetanga, ā, ka piki tana tama, a Tāwhiao, hei kīngi. We have 1 event in history, 40 biographies, 9 articles, related to Pōtatau Te Wherowhero.